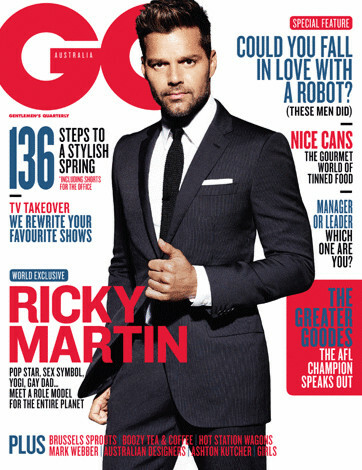 Ricky Martin is getting nothing but love in Australia. Bakker emphasizes that the star has come a long way from his Menudo boy-band days of flirtatious lyrics and dance moves. She also notes that despite having publicly come out as gay in 2010, Ricky’s “appeal crosses boundaries -- age, gender, sexuality, hipsterdom” as was evident when several older women were drawn to the singer during their time in New York. Ricky Martin In "General Hospital"